The Ninja Max Glove is engineered to provide the highest level of innovation. It includes a unique shell and polymer combination for superior hand protection. This glove offers a high assortment of dexterity, sense of touch, and the greatest level of cut protection. Ideal for automotive, glass, injection molding, metal fabrication, and transportation applications. Superior cut resistant gloves. MCR Safety Ninja® gloves are engineered to provide the highest level of innovation. Each of the offerings in the Ninja® series include a unique shell and polymer combination incorporating the latest in hand protection technology. Our Ninja® Glove Line offers the greatest assortment of dexterity, sense of touch, and protection. 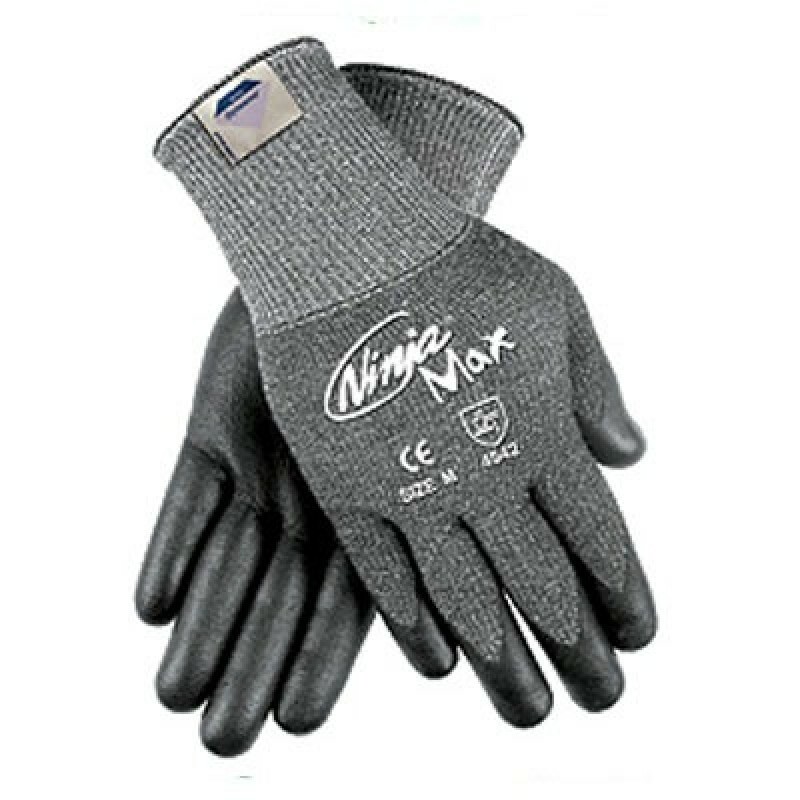 The Ninja® Max features a 10 gauge gray Dyneema®/Synthetic shell, black bi-polymer coated palm and fingertips. Made with DSM certified Dyneema®. Washing instructions include washing gloves in slightly warm water not exceeding. A mild non-ionic detergent should be used. A 5-10 minute cycle time should be employed. Hang to dry, tumble drying is not recommended.